I prefer to feel confident (rather than insecure) about myself, so I deem 2017 the year of self-care & self-love. Exercise. Nutritious food. Time to unwind. Reading. Regular haircuts. Whatever it takes to maintain that sense of self-love. I decided to start off the new year with a nice smile, a big ol' cheesy grin. 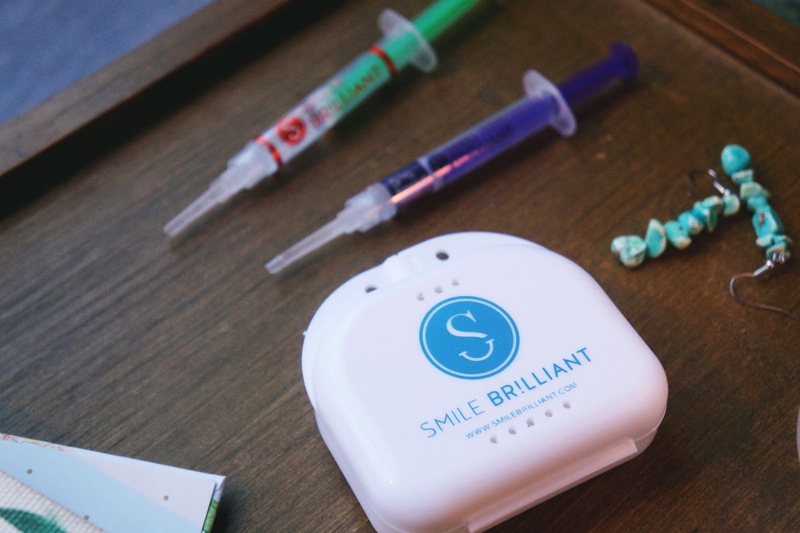 It had been a while since my last session teeth whitening session — more than a couple years — so it was a match made in heaven when Smile Brilliant* approached me for a collaboration. 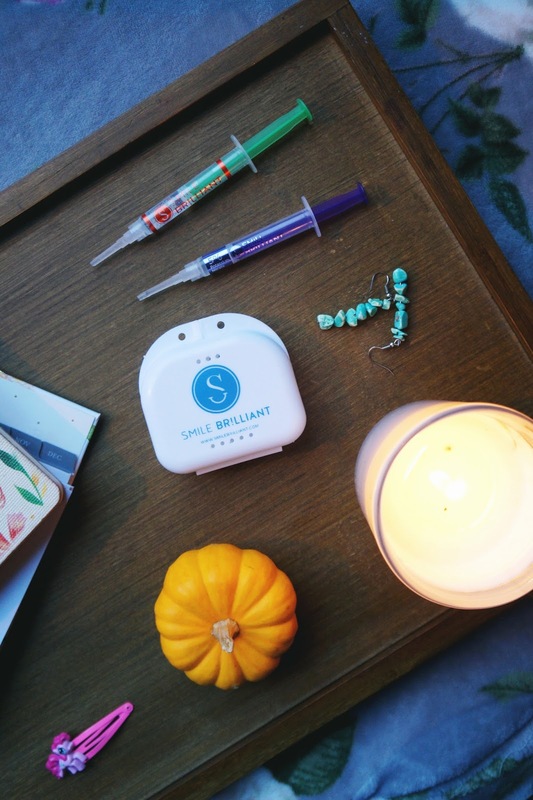 Smile Brilliant sends over your dental impression kit, all set with catalyst paste & base paste. The impression process is pretty easy as long as you take it one impression at a time. My tip: make sure to use a mirror to avoid dragging. After you make your dental impressions, let them dry, & then mail them out in your pre-paid Smile Brilliant envelope. After some patient waiting, my fitted trays arrived in the mail. Wondering if you should you whiten your teeth? Make sure to read through these things to know before whitening your teeth or you can watch the video review here. 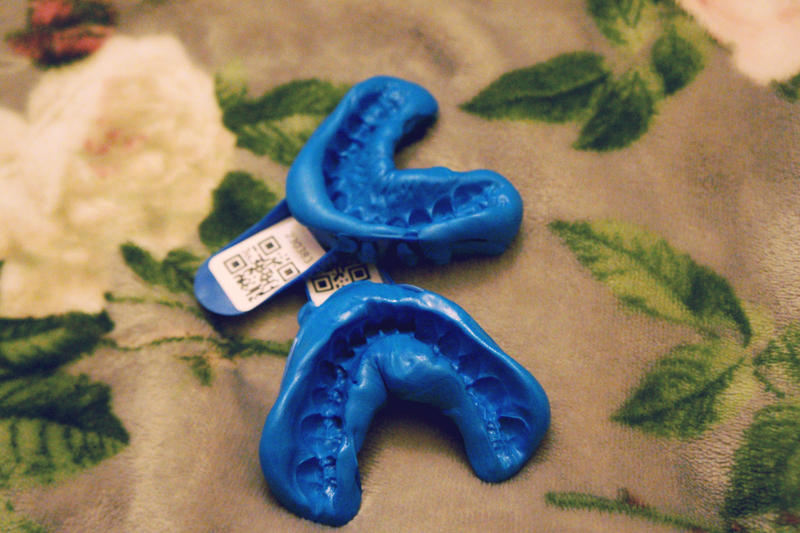 You can begin the process once you receive your teeth whitening trays. Simply apply the teeth whitening gel to your teeth tray, then place them carefully in your mouth. I took them out after about an hour & then applied apply the desensitizing gel. 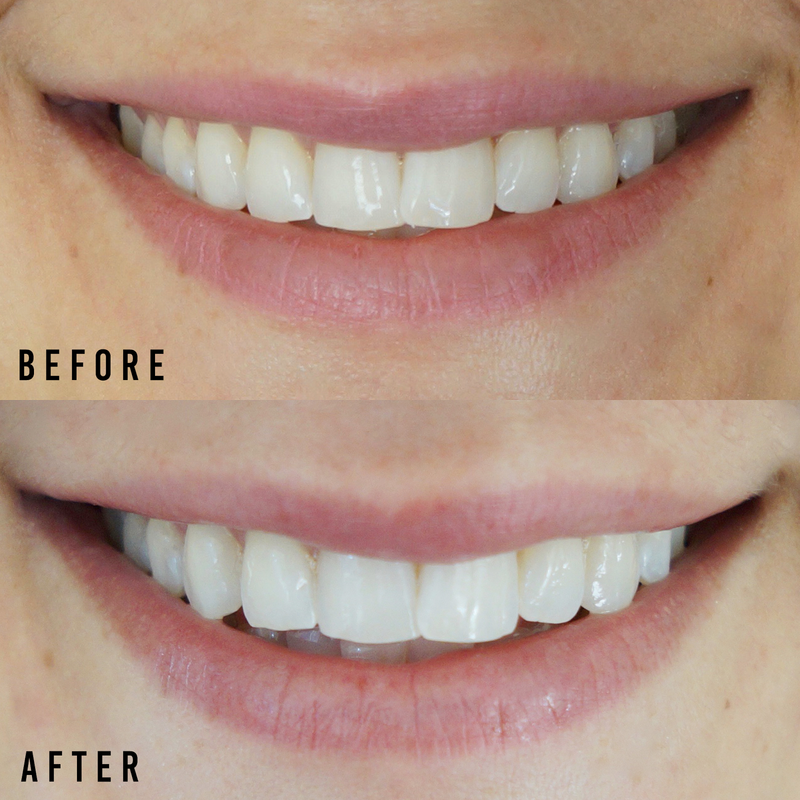 I did four one-hour teeth whitening sessions. The whole process was a bit time-consuming since you have to factor in wearing the teeth whitening trays (one hour), then applying the desensitizing gel (20 minutes), then waiting 30 minutes after if you want to drink or eat. At minimum you're looking at 80 minutes per application, but you may notice results in as little as one application. I occasionally drink a cup of coffee & a glass of wine, but I mostly drink black tea. 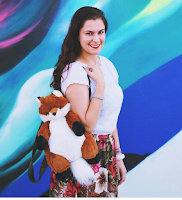 My teeth weren't severely yellow, so I was aiming for a whiter, brighter, & natural look. I've had some teeth sensitivity issues with past at home teeth whitening kits, so I wanted to try something different. How Did Smile Brilliant Work For Me? Overall, the process was relatively simple. I had some minor teeth sensitivity after applying the teeth whitening gel, but the Smile Brilliant desensitizing gel worked well to combat that. I can still grocery shop, paint my nails, edit photos, & do whatever I want while I whiten. I like that it whitened the little nooks & crannies that store-bought teeth whitening kits can't give you. I achieved the results I was looking for — a brighter but still natural smile. I have plenty of teeth whitening gel & desensitizing gel to keep in my refrigerator for future use! 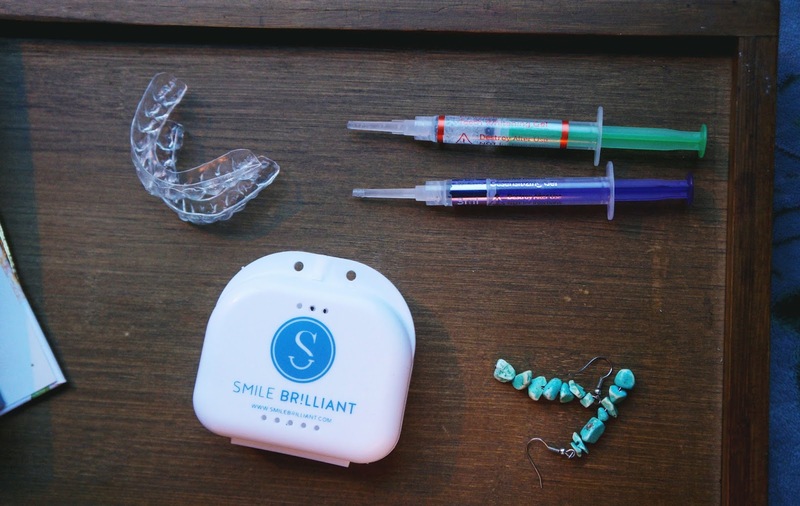 Enter to win $139.95 store credit at Smile Brilliant! That can get you their T3 Non-Sensitive System (Custom-Fitted Trays + 3 Whitening Gel Syringes) for that price. This giveaway closes January 23, 2017. All you have to do is enter your name & email address! Click here & enter to win! Winner receives free shipping if a resident of the US. International winner is responsible for part partial shipping. this looks so good! love the results and best yet looks natural and not a fake too white smile! I absolutely loved Smile Brilliant. The product definitely helped whiten my teeth. They look awesome. Sounds like a process, but well worth the results! Wow you had great results. I was contacted by them, but I still have braces on, so hopefully I can still collab later! Thanks for sharing the great tips! Whoa! What a difference! I have been thinking of getting this lately, I feel like I'm going to have to now that I know how good it works! Ive been seein smilebrilliant ads a lot - gotta try it out! I have always wanted to try this! Thank you for your great review and your results look incredible! The materials kind of looked a little scary for me, to be honest, but wow it looks like the result is worth it! I love the results! Looks great, I entered the giveaway! I entered too! I used to whiten my teeth back in the day but my teeth have moved over the years and I need to have a new mold done! I've been hearing so much about these at home whitening teeth kits! They look so interesting and the results look amazing! Definitely going to be trying this out :o!! Interesting, I've been wanting to whiten my teeth for a while! Dying to try this! Looks like it works so well! Awesome giveaway and your teeth look great! 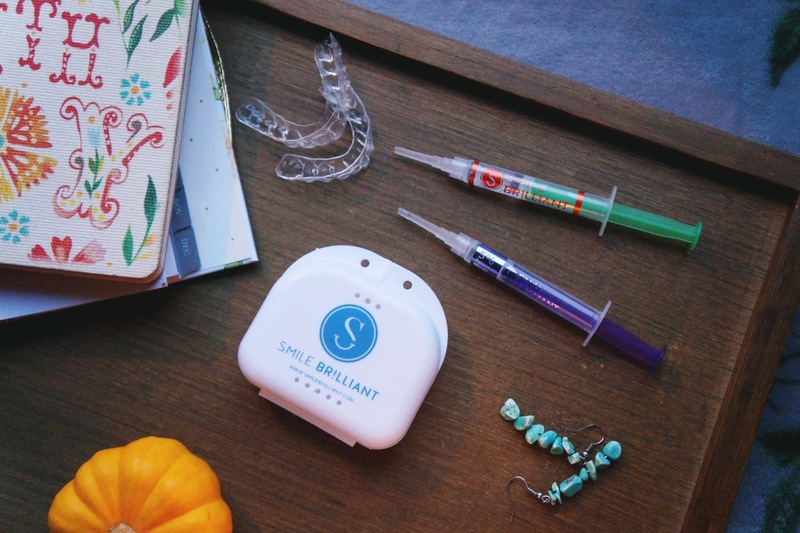 been hearing and reading a lot about smilebrilliant! gotta try it! Wow! The before and after pics def would sell this product. Looks like a fab teeth whitening product. Need to give it a try! Oh that looks like an incredible kit and I love that they include a desensitizing gel! I need to whiten my teeth for my wedding so I definitely need to look into it. This looks promising! :) I joined! Hmmm...this looks great! My only concern is the time. Also, did your teeth become super sensitive?? I will have to look into this whitening kit. I would like to whiten my teeth but mine are super sensitive. =) Thanks for sharing this post! Using the desensitization gel helps with sensitivity. I tried a session without it once & my teeth felt so sore. Once the gel is applied, it all but goes away!